Last year’s collection of Super Bowl commercials was awful, and while this year’s collection wasn’t totally impressive, it was a big step up creatively. The big winners: Chevrolet, Chrysler, Volkswagen, Hyundai, Kia, Audi and Bridgestone (pretty much anything car related). Audi kicked it off in style with stylish hounds, a luxury prison, and Kenny G. Chevrolet impressed with the Lassie nostalgia bit, something usually dominated by Budweiser. Kia’s epic ride commercial was nothing short of its billing, and Bridgestone had a couple creative ones involving the beaver and the emails (not nearly as dirty as it sounds). 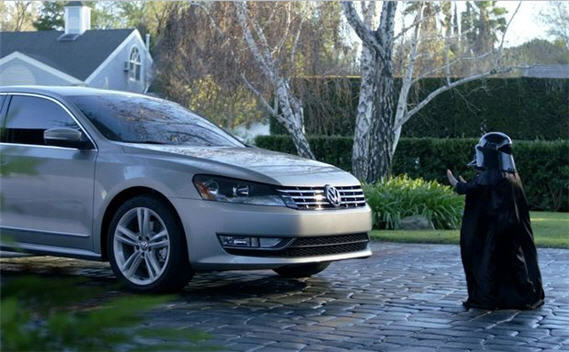 Little Darth Vader stole the show in Volkswagen’s ad, by far the cutest one of the night. The most impressive one, however, was from Chrysler. Going for the serious bit, their profile of Detroit and the hopeful resurrection of the American auto industry was stirring. Eminem, who was a clown during the Brisk ad, represented the Motor City well, and though I have no idea what their new cars are going to be like, I felt confident that they are heading in the right direction.